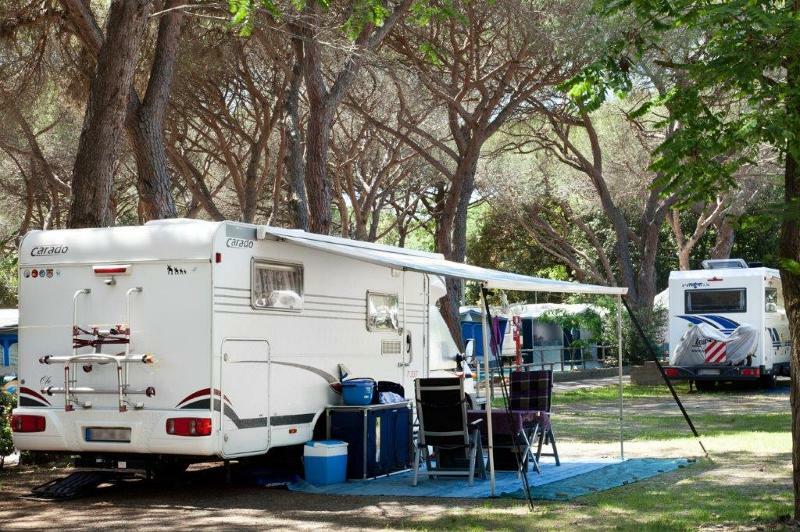 The Camping Santapomata, with direct access to the sea, offers pitches arranged on grass, equipped with light and well shaded attack: our guests can take advantage of pitches a few steps from the sea, two groups of toilets with hot showers without tokens and sinks with hot water, camper service and coin-operated laundry service. The Campsite Santapomata, with direct access to the beach, offers its guests shady places embedded in the green pine trees, just two steps far from the sea, equipped with electric hook-up points, very near to the two toilet blocks equipped with hot showers (without coins) and washbasins in cubicles. The Superior is composed of a wonderful double bedroom and a delightful bedroom with two single beds. Our guests could enjoy the comfort of two bathrooms with toilet and sink, one with shower. 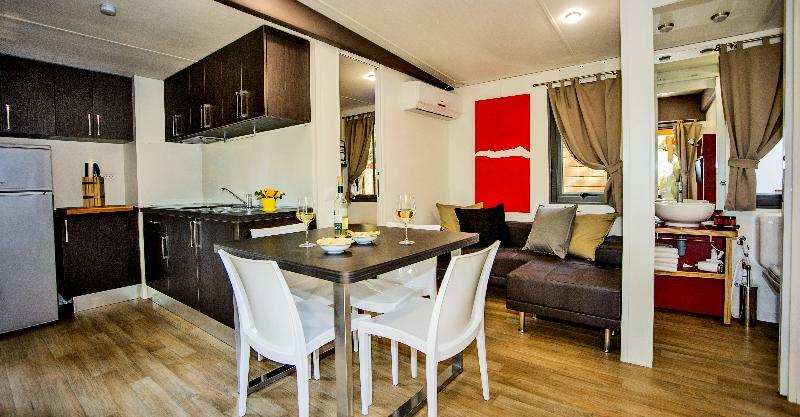 This Mobile Home offers an adorable living room with sofa-bed, tv and air conditioning and the elegant equipped corner kitchen which overlooks the private veranda with table and chairs, perfect to eat outside. Mobile Home Superior offers the possibility of the 5th and 6th bed (little single bed and sofa-bed). 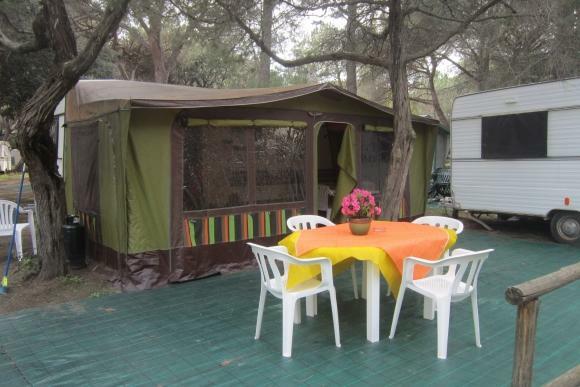 These caravans 4/5 seats are spacious and comfortable, suitable for holidays with your family or friends. The interior is nice and modern and they are composed of one double bed and one bunk bed, offering the possibility of 5th place with one single bed. Outside there is a large veranda together with table and chairs, stove and fridge. The caravans also have a nice outdoor area with table and chairs for outdoor dining. 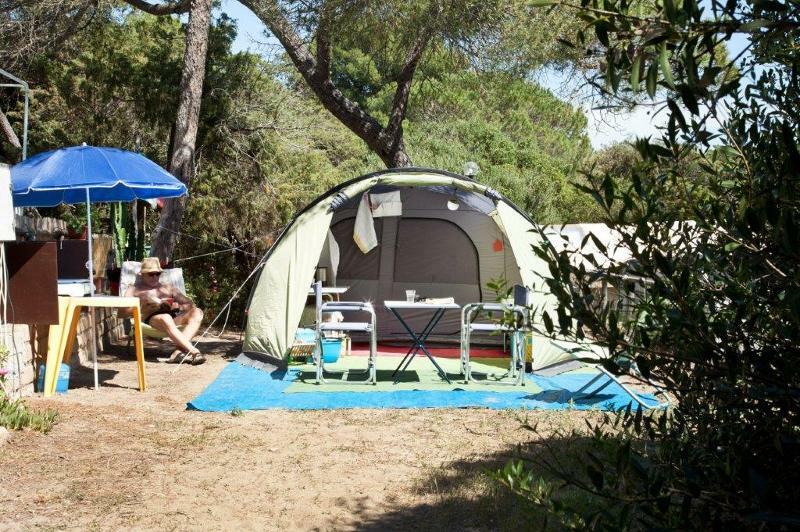 Camping Village Santapomata, directly on the sandy beach, is situated in the hearth of the Tuscan Maremma, embedded in a beautiful pine forest just 5 km far away from Castiglione Della Pescaia. Castiglione della Pescaia, several times awarded with 5 sails and Blue Flag from Legambiente for its clean waters and beaches, thanks to its location offers landscapes of incomparable beauty, where you can enjoy fresh air and relax. The Campsite offers its Guests a range of facilities and services: private beach (with fee), bar with Wi-Fi internet connection area, Brand new Cafè on the beach, restaurant-pizzeria (with take away service), mini-market, 2 toilet and shower buildings (hot showers – disabled persons toilet and shower) with laundrette, mini club during the summer (July-August). All of our pitches are equipped with electric hook-up points and the parking for 1 car is included (outside private parking). 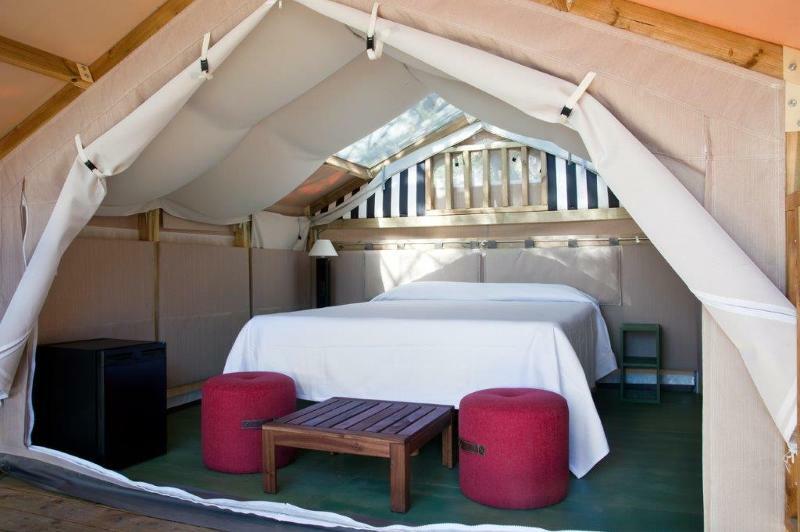 For those who love glamping, Mini Lodge Tent (new 2016) is the perfect solution: equipped tents composed of an elegant bedroom located only two steps from the seaside. Staff will be glad to give you advices and information on excursions and trips in the surrounding area, by coach or motor ship, to Florence, Rome, Sovana, Pitigliano, Elba, Giglio and Giannutri Islands and much more. Santapomata is the right place to spend a relaxing holiday with your family or friends. In the months of April, May, September and October its mild climate allows the campers to enjoy a really quiet holiday. 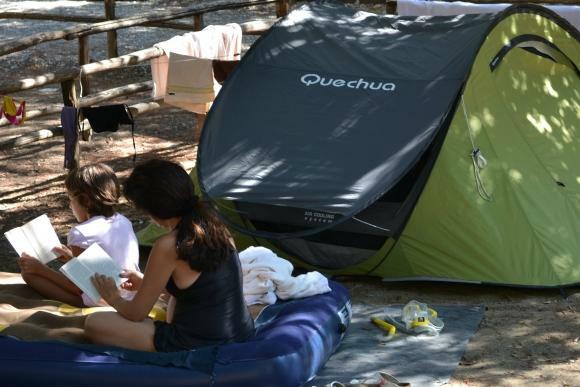 Camping Village Santapomata has the direct access to the wonderful sea of Rocchette with both private and public beach. The private beach, with lifeguard service, is equipped with comfortable sunbeds and beach umbrellas from Easter.